Bring your toys, there's TONS of room & a little something for everyone! You'll love this basement neighborhood the minute you pull onto the tree lined streets. You will LOVE the new heated saltwater pool and room for the RV/toys right behind your extended length RV gate. 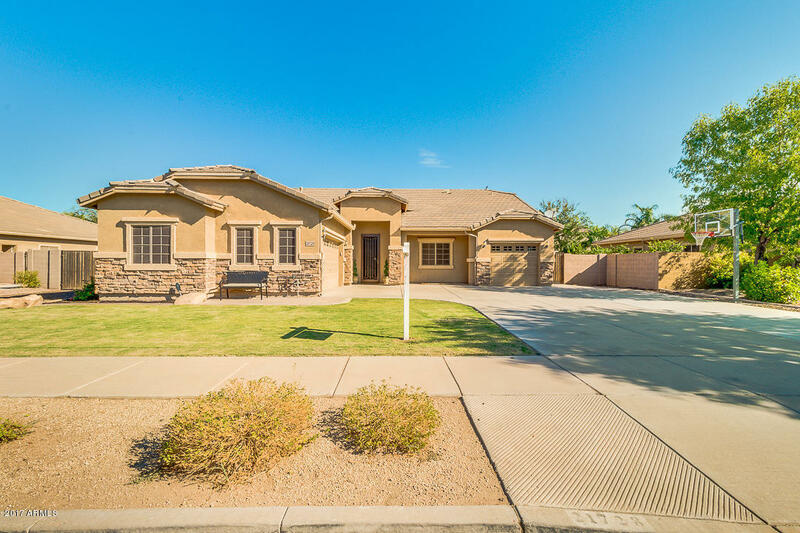 This meticulous home has gorgeous wood grain floor tile on main floor with arched openings into den/formal dining that flows into spacious family room. Kitchen has gorgeous dark cabinets w/ 42" uppers, newer stainless steal appliances and corian counters. Main level has one bedroom & split master with added sitting area & huge full bath & walk-in closet. Bring ALL your toys & then some because the basement here isGIGANTIC! Has HUGE bonus room, second master suite, 3 more beds, full bath & huge walk-in storage room.